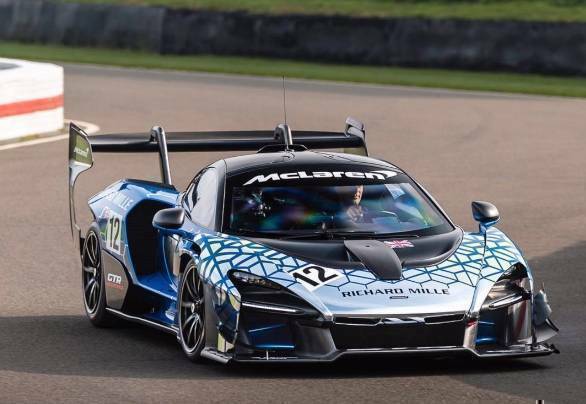 The ultimate McLaren has made its track debut, with the Senna GTR making a run up the hill at the 77th Goodwood Members Meet. First seen in its concept form at last year's Geneva Motor Show, this is the first time the Senna GTR has been seen in the metal. Making the occasion more special was the fact that the man behind the wheel was Bruno Senna, the nephew of Ayrton Senna, after whom the car was named. 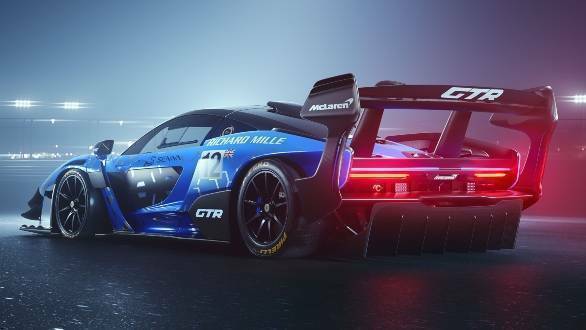 The highlight of the Senna GTR isn't the 825PS and 800Nm from its twin-turbocharged V8 engine, it's the over-1,000 kilos of downforce that the GTR generates from its aerodynamic additions over the road-going Senna. With a dry-weight of 1,188kg, the GTR boasts a power-to-weight ratio of 694PS per tonne. This featherweight also uses race-derived suspension to help keep its slick tyres glued to the tarmac. The GTR uses learnings from McLaren's GT3 programme to deliver these astonishing figures, for this 75-model run production series racer. At a price of over 1.1m, each example of the GTR is already spoken for despite its track-only status, with deliveries to start in September.